The new entries in the Super Smash Bros. series are indisputably the most comprehensive fighters on modern day consoles. Almost every corner of Nintendo’s expansive library is represented here, from the choice of fighters all the way through to the individual tracks that play on each stage. These games are the pinnacle of the series thus far and still after a year on, they manage to draw players in for more. Yet despite the almost overwhelming range of content available in the game, there does feel as if something crucial is missing, something that the former entries in the series managed to accomplish so well. 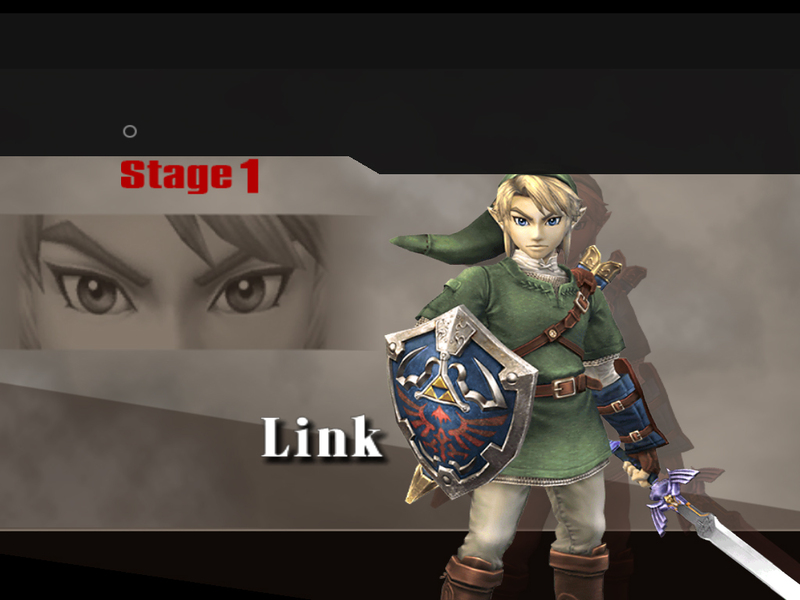 The first round in Classic Mode Brawl is always against characters from The Legend of Zelda… so that gets that one out of the way. With the character selection in Super Smash Bros. it’s clear that for many of the major series represented, the characters “have become greater than their games,” meaning “we may refer to these kinds of characters as videogame myths.” In that sense when we play through the various modes of Super Smash Bros. we play “not on our interest in experiencing an original narrative, but, on the contrary, on our wish to experience a familiar narrative (or set of narratives), yet without tautology.” Thus with every new battle we essentially experience anew (if only for a fleeting moment) each series that Nintendo has to offer. This is most apparent in modes such as Classic and All-Star, where players will progress in stages that concentrate on specific universes or myths; for example Round #1 we’ll face off against The Legend of Zelda universe which will follow onto Round #2 against Yoshi with Donkey Kong as an ally (or vice versa), representing the minor Mario universes. In this sense there’s a progression; we “get rid of each mythology as you defeat the characters which represent them.” Thus by utilising this mythology, the Super Smash Bros. games created enough narrative to keep the player engaged as they progressed through the single player modes. This in turn gave the series a greater purpose beyond that of a deep fighting system as “it is as if videogames, as a medium, were trying to write their own index.” By overcoming each individual mythology, we are engaged in indexing, and reliving, all that is Nintendo. Empty or full of trophies, this table is still a barren field compared to older Classic Modes. However last year’s releases of Super Smash Bros. for 3DS and Wii U have lost this aspect that for some made Smash so engaging. The Classic mode in Smash Wii U is a particular sour point, as rather than facing off against each mythology and continuing this narrative of indexing, the mode has us facing off against a random group of characters on pre-selected stages that break the boundaries of the separate universes. 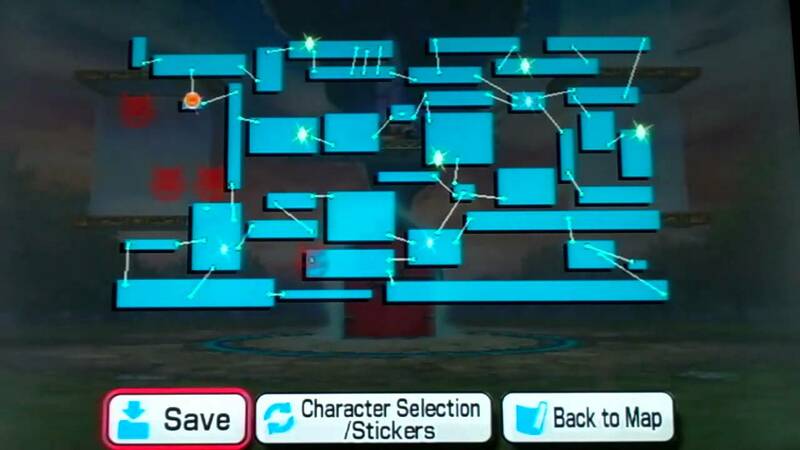 Thus whilst playing through the mode, there’s an emptiness that wasn’t apparent in previous entries in the series; essentially we could just be playing in the free play. The 3DS version of Classic mode avoids this somewhat by setting each stage within the confines of their respective universes, however the random ordering of the rounds means it still misses out on that sense of progression found in the earlier Smash games. 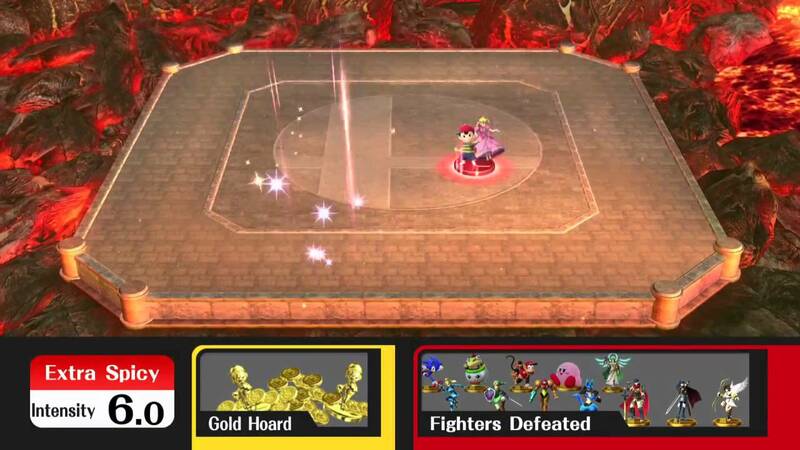 Thus when we finally arrive at the Fighting Mii Team, we’ve received very little sense of purpose by playing through Classic mode, aside from collecting the trophy at the end. This significantly diminishes the enjoyment one receives from single-player mode as there’s no sense of reliving each mythology along the way, which to some was the main draw of the mode. We all like overcoming Nintendo based enemies but when they’re all put together in such a big maze its hard to really hone in on anything in particular. Reliving mythology does not even pass through into either All-Star mode or the two new modes, Smash Run and Smash Tour. Despite these modes having a greater sense of progression than Classic mode, they still ignore the boundaries of each individual universe. The objective here is to face-off against every fighter in the game as per usual, but this time we battle them through the years of their introduction, from 1980 up to 2013 (or vice versa). This again mixes up the universes meaning without that familiarity between each fighter we’re up against, there’s little sense of overcoming anything but faceless fighters, despite the order that they’ve been presented in. Smash Run and Smash Tour also follow this combined universe approach which perhaps reveals the intent of the new Smash games; that Super Smash Bros. is its own mythology independent of those that make up its parts. It’s a strange concept to grasp, but it seems this crossover fighting series has decided to have its own independent identity, and sadly the result is a less satisfying gameplay experience, at least where Single-Player is concerned. Remember the Great Maze, surely we’ve all conveniently forgotten about this huge dungeon. No Mario or Pokémon specific rooms, just endless, boring dungeon. This problem is not new to Smash 3DS and Wii U however, as the Subspace Emissary in Super Smash Bros. Brawl failed to bring all Nintendo’s parts together for a memorable, original experience. Here the epic adventure was marred by dull and often awkward platforming dungeons, facing enemies who were largely uninteresting. Thus aside from the dramatic cut scenes we were given, the mode was largely a slog to play through because it didn’t have us interacting with the mythologies we’ve known all these years, rather they were put into a new setting that just didn’t shape up. Thus it comes off as surprising that Sakurai and his team would attempt to further establish a Smash mythology in the new entries rather than utilise the mythologies that Nintendo have secured over several decades of gaming. 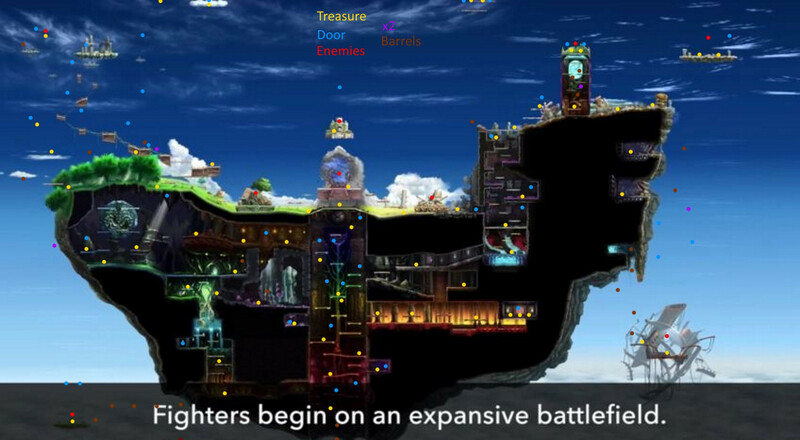 Perhaps this is why reviewers today still compare the single player Smash modes to that of Melee’s Adventure Mode; because in Melee we were invited to re-imagine each mythology as we fought to overcome them, and this is something that an original mode in Super Smash Bros. has failed to achieve since. The fact however that Smash 3DS and Wii U go even further away from this ideal, by changing the Classic and All-Star structures, suggests this is no longer a route the developers have considered. Thus Super Smash Bros. has put aside the mythologies that made the series so engaging to begin with in favour of trying to soar on its own universe; the result is however somewhat disappointing. Ultimately this is an issue that largely affects the Single Player modes of the games. With online play revolutionising the fighting genre, Super Smash Bros. is arguably stronger than ever, with all those years of competitive play finally influencing the makeup of its Multiplayer modes. Yet regrettably Single Player here is less inviting than it has ever been; it seems reliving Nintendo’s various mythologies is no longer of interest to the Super Smash Bros. franchise. Check out this article written near the release of Super Smash Bros. Brawl to which I have made reference to in this piece. Next Next post: Are the Final Fantasy Classics Undermining the Modern Series?